An experienced California DUI defense attorney knows a number of defenses that have been used to win California DUI trials. One possible defense is to argue that the defendant was not the person actually driving the car at the time drunk driving occurred. Another possible defense is that any drinking on the defendant’s part took place only after he or she was driving rather than before. You’ll need eyewitnesses if you plan to offer either of these defenses. The arresting police officer will probably testify that the defendant was in fact the driver and that the defendant was in fact drinking before rather than after driving. A defense called the “rising blood alcohol” defense may be offered when a breathalyzer or blood test indicates that a defendant’s blood alcohol content (BAC) level was above the legal limit of 0.08 percent. This strategy hinges on the rate of alcohol absorption into the blood. The defense is that while the defendant’s BAC was below the legal limit while the defendant was driving, by the time the blood or breathalyzer test was given, his or her BAC level had reached 0.08 percent. Eyewitnesses can help here as well, and an experienced DUI defense attorney may introduce an expert witness to help verify the claim. 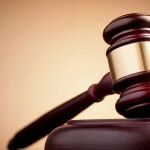 Another defense is claiming that your DUI case is in fact a Fourth Amendment case. Legally, if the traffic stop that led to your arrest was made without probable cause, no evidence gathered as a result may be used against you. 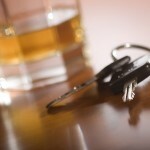 A DUI charge threatens your freedom, your ability to drive, and your future. 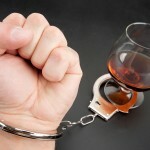 If you are arrested and charged with DUI in California, get the help you need and speak with an experienced DUI defense attorney at once. He or she may offer one of these defenses or may instead pursue another strategy. A good DUI defense lawyer will vigorously defend you throughout the entire legal process and fight for the best possible conclusion to your DUI case.